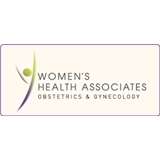 Women's Health Associates (Westfield) - Book Appointment Online! Philosophy: Our practice is dedicated to practicing the "Art of Medicine" in the modern world. We know that the latest technology cannot replace the understanding and intuition of a conscientious, empathetic practitioner. We are small enough to remember you by name and give you personal attention, but large enough to offer the most advanced medical technology …backed with years of experience! She is the best!! Was quick and thorough and took my concerns seriously. She is truly amazing!